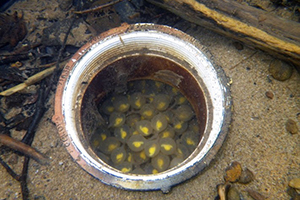 Collection of Eastern Hellbender eggs and larvae will be conducted each spring by removing small numbers of eggs from multiple clutches to ensure a diverse cohort for head-starting. Eggs and larvae will be reared by our partners with the Wildlife Conservation Society for one year before transfer to rearing facilities designed to accommodate the fast-growing salamanders as they approach their adult size. 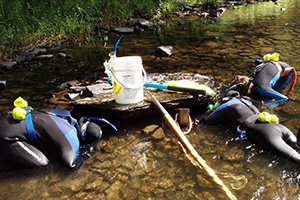 Funds are needed to construct, install, and maintain artificial instream habitat structures that will facilitate collection of eggs and larvae from the wild. Funds are also needed to construct specialized transport tanks for bringing eggs and larvae from the field to the rearing facility. The construction, operation, and maintenance of aquarium lab systems to rear larval and juvenile hellbenders will be conducted inside a building that has been offered for use to accommodate this project. 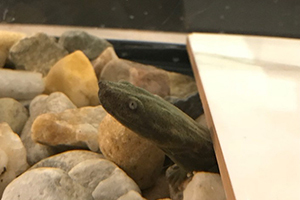 Funds are needed to buy food, aquaria, pumps, PVC pipe, plumbing supplies, and charcoal and mechanical filters to construct a secure lab facility that will provide for the rearing of larval and juvenile hellbenders for a period of at least three years. 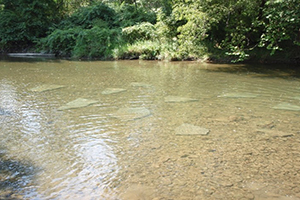 Artificial and natural cover rocks will be placed in historic hellbender streams in order to enhance habitat and provide adequate shelter for juvenile hellbenders when they are released at three to four years of age. Funds are needed for supplies necessary to construct artificial cover rocks and to purchase slab rock that will be hand-placed in suitable stream locations. Monitoring is key to the assessment of the success of this project. All released juvenile hellbenders will be fitted with microchips (passive integrated transponders) implanted beneath the skin. 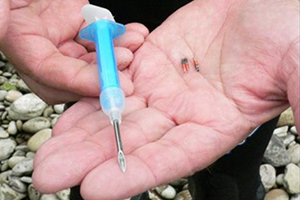 Tagged hellbenders will then be monitored for use of enhanced habitat, and movements into or out of the release site. 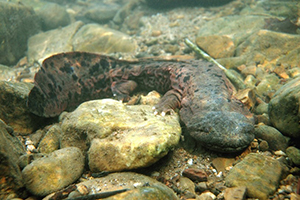 Funds are needed to purchase the microchips, implanters, hand-held tag readers, and instream antenna systems that will continuously monitor hellbender activity. Collection and laboratory rearing of Eastern Hellbender eggs and larvae, construction and maintenance of suitable aquarium facilities, construction and installation of instream cover objects, and electronic monitoring of released juveniles will be conducted by students hired for the project and under the supervision of investigators from Lycoming College and SUNY College of Environmental Science and Forestry. 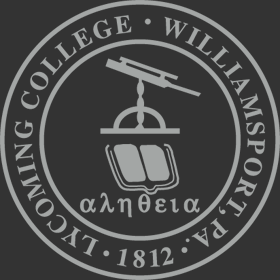 Funds are needed to support undergraduate student assistants for two summer seasons in support of this project. No conservation project is complete without education and outreach to local communities, school districts, and environmental organizations. Public presentations will be offered to any interested public group. Presentations will also be made at conferences to ensure dissemination of the outcome of this project to the greater scientific community. A 10-page, color, full-size brochure will be assembled, published, and provided to local community organizations, school districts, and other interested groups. The brochure will contain photographs and descriptions of the conservation efforts encompassed by this project. Funds are needed to prepare and publish the brochure, and to assemble and disseminate video clips and Powerpoint presentations for general use. In order to reach our project goals and objectives, we need your help! 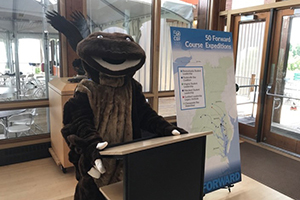 We are seeking funds totaling $100,000 to complete up to three years of intensive work to restore Eastern Hellbender populations in Pennsylvania and New York. Any amount you are able to contribute is greatly appreciated. Project progress will be reported regularly at this site and links will be provided to additional information, photographs, videos, and other project resources that may be available.